Theses written by 2012 graduates of the University Honors Program are now available for viewing online through Loyola’s Digital Library. Students elected whether they wanted their theses available worldwide or only from Loyola’s campus. This year’s batch straddles a broad range of topics and shows the high level of excellence, as well as the academic diversity, of our Honors students. The collection can be browsed here. To search for a specific topic, title, or author, click “Advanced Search” at the top. The collection also includes theses from Loyola graduate and undergraduate students dating back to 1958. More information about the Honors Program and the Honors Thesis/Senior Project can be found here. I have the great capacity to be a TV junkie. We got rid of cable at my house in large part because no matter how embarrassingly degrading a show was, I could get sucked into the menial drama in no time. My most embarrassing moment in TV viewing might have been the short-lived reality show “Dating in the Dark,” in which contestants—you guessed it!—dated each other in the dark and then had to decide whether their feelings were real once they saw the person through a two-way mirror. I’m not a big believer in “guilty pleasures” but this was a real low point. “Twin Peaks” made such an impression on me that I was truly sad when it was over. Over for me, anyway, since it’s actually been off the air since 1991. I watched the show for the first time last summer. I rewatched it in its entirety this winter. This time I think it took about 14 days to watch the whole thing, but that’s because the DVD has some pretty great extras. And the cult of “Twin Peaks” lives on, which I realize now that I understand references to the show. The Log Ladies are a New Orleans band saluting their namesake’s memorable character; “Twin Peaks” festivals occur around the world; and the show’s stars still pop up all over the place (Leland Palmer on “Mad Men?” Awesome!). The Monroe Library has the full series on DVD with all the excellent extras. There’s also a prequel film called Fire Walk With Me. 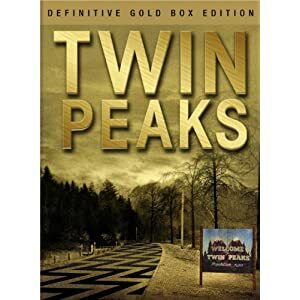 I’m not a fan, but it’s worth seeing if only to round out your “Twin Peaks” experience. If you’re like me, you’re going to finish watching the series and then jump in your car to come back to the library 10 minutes before closing time to check out the movie. The spooky town of Twin Peaks just has that effect on some of us. Check it out: New Equipment! New equipment is available for check out in Media Services! Reserve equipment with Media Services. Please allow two business days to process reservations. Kittums the cat may not mean much to the New Orleans of 2012, but he was a pretty famous figure at the turn of the century. So famous, in fact, that entire articles were written about his life in the Times Picayune. His obituary was three times the length of a standard human obituary today. And most importantly, his likeness was fixed at the center of a local baseball team’s group photograph in 1908, which somehow found its way to the Loyola University Special Collections & Archives. 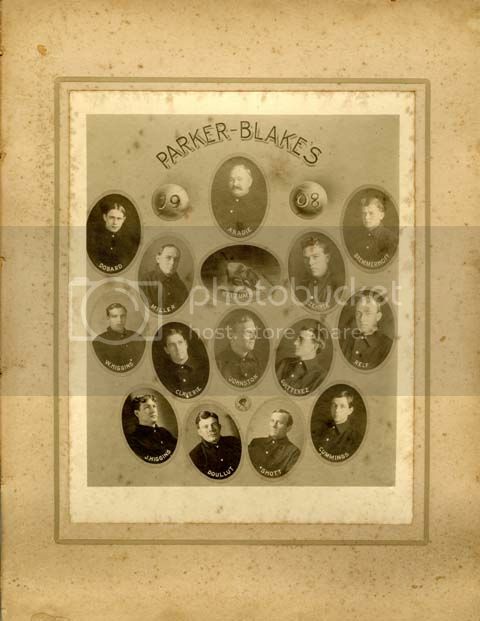 This photograph, found in a small collection of early 20th century New Orleans sports memorabilia, features oval images of fourteen men, the words: ‘Parker-Blakes, 1908,’ and one little black cat. After a quick search of the historical Times-Picayune database on the Monroe Library website, we discovered not only the history of this baseball team, but also a little something about Kittums, their feline mascot. The Parker-Blake Baseball Team was a commercial baseball team in New Orleans at the turn of the century. The team was comprised of druggists from the Parker-Blake Company, established in New Orleans in 1903. The company was headed by Arthur D. Parker, brother to one-time Louisiana governor John M. Parker (1920-1924) and Thomas N. Blake, both of New Orleans. In 1904, the company formed a baseball team which took over for another commercial team known as the Baldwins. By 1908, the team was at the head of their league. Unfortunately, the company was purchased by the Mckesson and Robbins pharmaceutical distribution company in 1929, effectively ending the baseball team. So what about that cat? 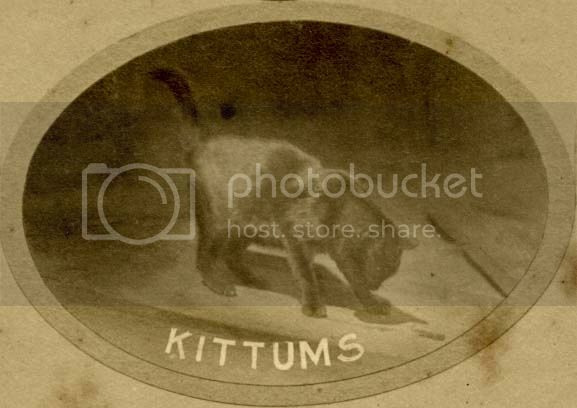 According to his obituary in the Times Picayune on May 3, 1909, Kittums was adopted by the company’s treasurer after his original owners passed away. In no time at all, Kittums “lorded it over everybody in the big drug house, from the office boy right up the scale…”(Times-Picayune, 3 May 1909, p. 15). Parker-Blake adopted Kittums as their company mascot, using his image for the annual company feast where “there was a unique programme and menu card folder” in which “Kittums’ picture had first place on the top sheet, and the whole reverse side was devoted to verses setting forth Kittum’s identity, and claiming qualities for him any cat would be proud to own” (Times-Picayune, 29 December 1906, p. 2). At these same gatherings, Kittums was the subject of whole speeches by management to the extent that “a stranger casually dropping in, and hearing the talk would have inclined to the belief that Kittums, instead of being a stray black cat, was the boss of the whole shebang” (Times-Picayune, 29 December 1906, p. 2). 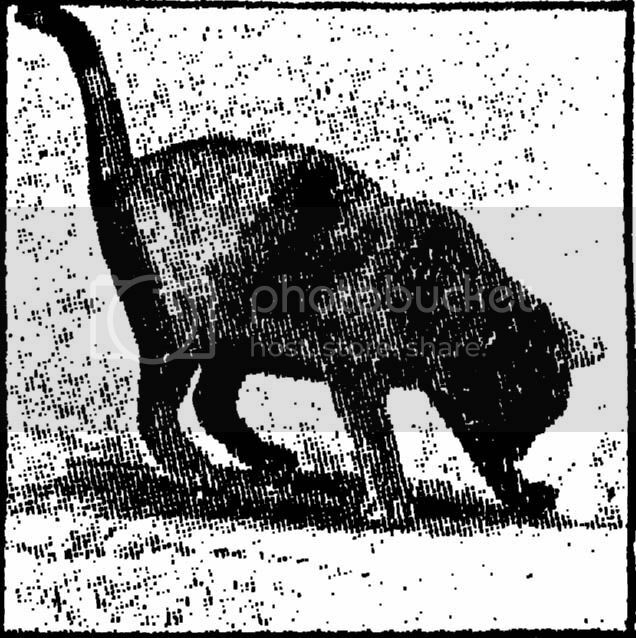 In the spring of 1909, after five years at Parker-Blake, this beloved cat who “was known almost as extensively as the firm was known,” passed from this life (Times-Picayune, 3 May 1909, p. 15). “Fate was kind and yet cruel to Kittums. Kind in that it turned his errant footsteps in the direction of the Parker-Blake hospitable doors, and cruel in that it meted out to him such an awful end. Kittums was practically born with a silver spoon in his mouth and, as years rested upon him, his days became golden, but the exit was under the pounding, grinding wheels of a trolley car, and when Mr. Johnston picked Kittums up from the side of the track, Kittums was only a crushed and mangled mass” (Times-Picayune, 3 May 1909, p. 15). For more info about the Parker-Blake Baseball Team, Kittums, or to explore more weird and wacky items, contact Special Collections & Archives at archives@loyno.edu or drop by Monday-Friday between 8:30-4:45. Congratulations to the winners of the inaugural Monroe Library Student Research Competition! The Monroe Library Student Research Competition recognizes and rewards students who make exemplary use of the collections, resources, and services of the J. Edgar and Louise S. Monroe Library throughout the research process in order to produce an academic or creative work. The first place winner is awarded $300 and two runners-up are awarded $100. Once again, congratulations to the winners! You are currently browsing the Library Lagniappe blog archives for May, 2012.